even if I didn't fully understand the science behind it. disbelief as a 3-dimensional object is 'printed' right before my eyes. 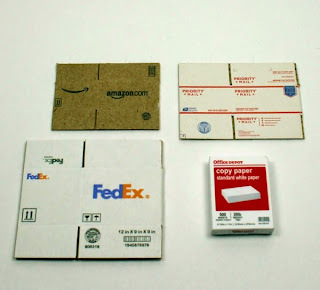 the products. How cool is that?!? My order arrived today and I am thrilled with my purchases! 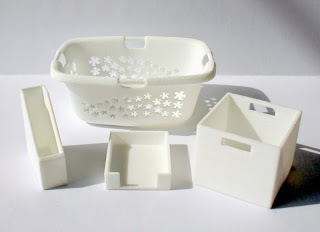 The laundry basket is designed by Modern Dollhouse. 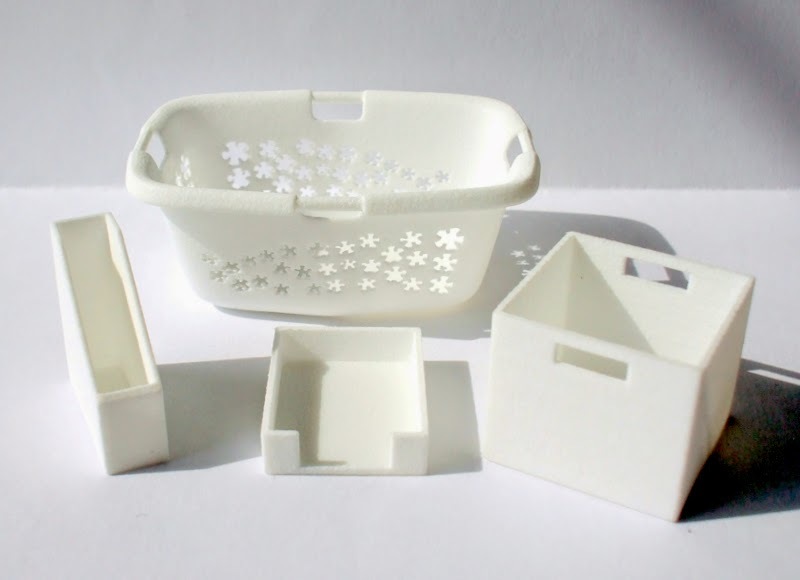 The magazine butler, paper tray, and storage bin are designed by Modern Minis. expecting with the "White Strong & Flexible Polished" option. They are also available in various colors which I may try out with my next order! Until next time, happy mini-making! 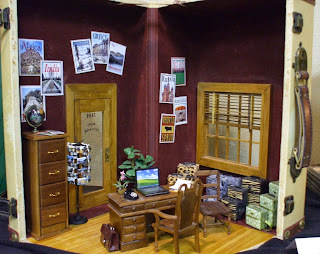 One of the highlights of attending a dollhouse miniature show is seeing the wide range of roomboxes, vignettes, and yes, sometimes even full dollhouses, on display. the event. Such is the case with the above roombox. Deb Matunas creates very high quality, incredibly detailed, miniature scenes and the above box is no exception. I especially **love** that a decorator suitcase is used as the "box". And once again, a few sets of my luggage have found a beautiful forever home. Well done! Of course, in addition to the display eye candy, there's also some shopping to do! 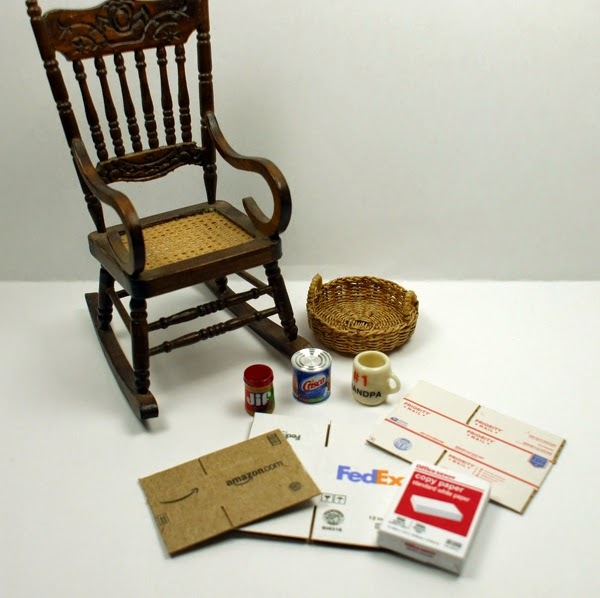 synonymous with superior quality in the dollhouse miniature world. 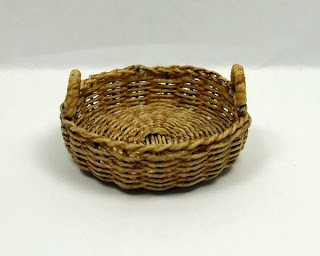 I wish I knew the maker of this beautifully crafted woven basket. It is about 1 1/4" wide and is very well made. I love woven baskets! 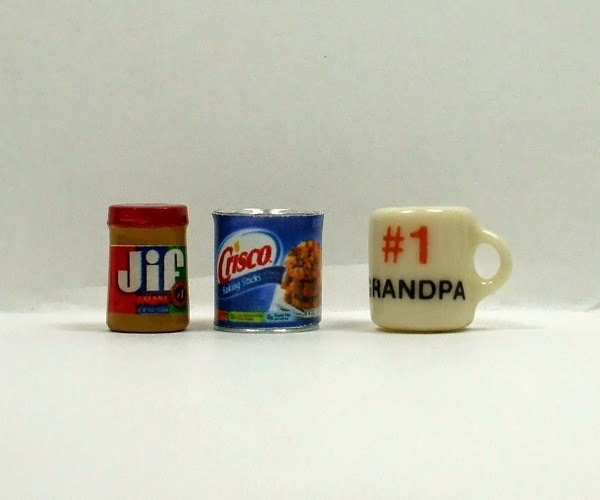 In real size, in mini size... I love them all! This one will probably be filled with miniature fruit and adorn my dollhouse kitchen. Or, perhaps filled with "mail" and placed on a shelf next to a desk. Hmmm.... so many possibilities! The jar of peanut butter and can of Crisco Vegetable Shortening are made by Cindi's Mini's. The color of the peanut butter is PERFECT! Looks good enough to eat! For more information about the Mini Les Bois Dollhouse Miniature Club and annual Dollhouse Miniature Show, check out their Facebook Page.